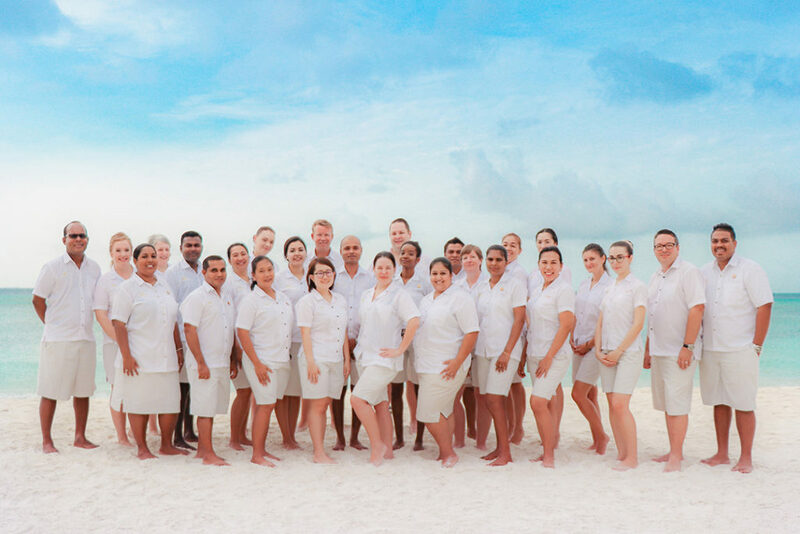 Crown & Champa Resorts “CCR” is a trade name for a group of Resorts in the Republic of Maldives, owned and operated by various Maldivian and foreign partners, whose common interest is to work together to achieve better business performance. These common interests include but are not limited to: new development, design, concept, construction, marketing & sales, operations, finance, purchasing, and human resources development. CCR was established in 2000. CCR manages 2 5-star, five 4 1/2-star and one 3-star resort and one 4-star city hotel in Male’. Each resort has over-the-water and beach villas, beautiful beaches, crystal clear water in the lagoon for swimming, excellent snorkeling and SCUBA diving, water and land sports, swimming pool, fishing, sailing, fitness center, an award-winning Duniye Spa, games room, excursions, shopping, meeting facilities, photography services, entertainment program, honeymoon packages, adults only and/or family “villages”, optional and economical All Inclusive plus packages, buffet and a la carte restaurants, bars, free Wi-Fi, and a Medical Clinic. Hurawalhi Island Resort is the only Resort on the island of Hurawalhi. 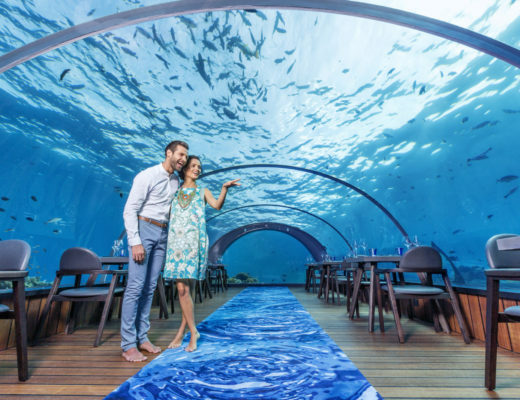 This 5-Star Resort features 90 Ocean and Beach Villas, some with infinity pool and/or sunset view, is Adults Only (15 years and older), an excellent house reef for snorkeling and SCUBA diving, an optional All Inclusive Plus Plan and is renowned for 5.8 Undersea Restaurant – the world’s largest, all-glass restaurant. Hurawalhi is a scenic 40-minute seaplane flight from Velana International Airport. Kudadoo Maldives Private Island by Hurawalhi Island Resort is the first top-end 5-star, truly all-inclusive, resort in the Maldives and ensures a secluded getaway purposefully crafted for an exclusive experience and luxury redefined. The private island comes alive with effortless adventures with the motto ‘anything, anytime, anywhere’. Personal butlers are available 24 hours a day to assist in making this possible by facilitating authentic experiences that capture the senses. 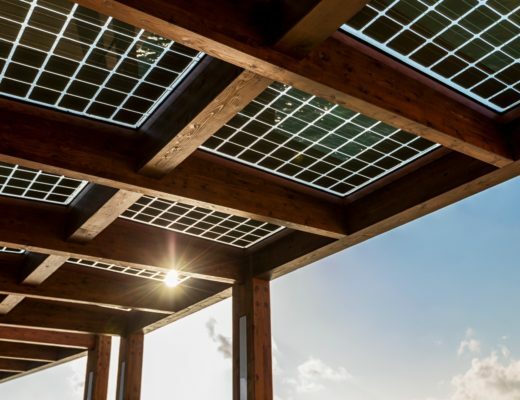 The resort comprises of just 15 over-water Ocean Residences, each with a 44sqm terrace pool, and additional accommodation for guests’ personal staff as part of the seamless experience. Komandoo Island Resort & Spa is the only resort on the island of Komandoo. This smaller, intimate 4 1/2-Star Resort features 65 Over-The-Water and Beach Villas, is adults only (18 years and older), offers a “good value for money” optional all Inclusive plus package, is well known for its excellent snorkeling and the many repeat guests who return each year to enjoy the warm and friendly service at their “home away from home”. Komandoo is a scenic 40-minute seaplane flight from Velana International Airport. Kuredu Island Resort & Spa is the only Resort on the island of Kuredu. This larger 4 1/2-Star Resort features 387 Over-The-Water and Beach Villas, in 9 different room categories…something for everyone’s budget, adults only and family “villages”, a “good value for money” optional All Inclusive Plus Package, ProDivers, one of the best dive operations, an excellent house reef and SCUBA diving, especially with turtles and manta rays, many activities, a recreation program and evening entertainment. Kuredu is a scenic 40-minute seaplane flight from Velana International Airport. Meeru Island Resort & Spa is the only resort on the island of Meerufenfushi, just a 50 minute speedboat ride, day or night, from Velana International Airport. This larger 4 1/2 -star resort features 284 over-the-water and Beach Villas, in 5 different room categories, something for everyone’s budget, adults only and family “villages”, a “good value for money” optional All Inclusive plus package, good snorkeling and diving, kid’s and teen’s Clubs, children’s wading pool and games room, lots of activities, recreational facilities, excursions and evening entertainment. Veligandu Island Resort & Spa is the only resort on the island of Veligandu. This 4 1/2-star resort features 91 over-the-water and Beach Villas in 4 different room categories, something for everyone’s budget, adults only and family villas, a “good value for money” optional All Inclusive plus package, excellent snorkeling, superb cuisine, wedding and honeymoon packages and many repeat guests who return each year to enjoy the warm and friendly service at their “home away from home”. Veligandu is a scenic 20-minute seaplane flight from Velana International Airport. Vilamendhoo Island Resort & Spa is the only resort on the island of Vilamendhoo. This 4 1/2 -star resort features 194 over-the-water and Beach Villas, in 4 different room categories, something for everyone’s budget, adults only and family “villages”, a “good value for money” optional All Inclusive plus package, the top rated snorkeling and diving in the Maldives right off the beach, children’s wading pool, playground and games room, lots of activities, recreational facilities, excursions and evening entertainment. Vilamendhoo is a scenic 25-minute seaplane flight from Velana International Airport. 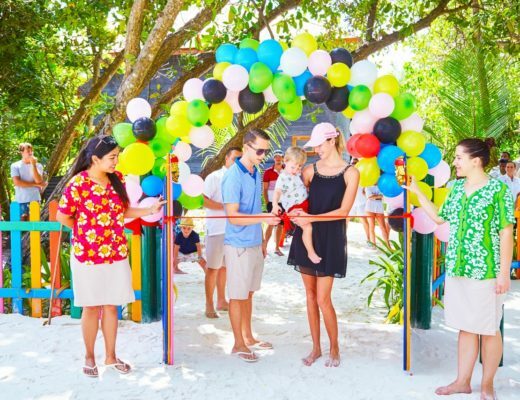 Innahura Maldives Resort (Opening March 2019) introduces a more affordable experience of the Maldives with 78 Beach Bungalows complemented by an overwater bar, main bar and a wholesome buffet style restaurant at the shore – a getaway for the fun loving young and naturally young at heart. The 3-star resort offers 78 Beach Bungalows that offer a cost-effective option that includes an easy atmosphere, laidback environment and a touch of local Maldivian flavours. 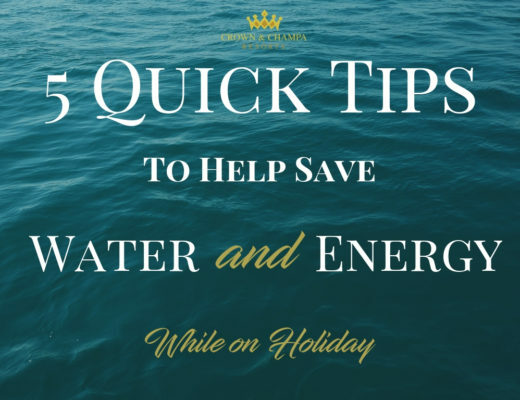 The All-inclusive Easy programme is an affordable package designed with this approach in mind, where guests can enjoy a hassle free holiday and the option to add their favourite drinks, snacks, experiences and activities to their package. Champa Central Hotel is a newly renovated 4-Star Hotel, with affordable rates and conveniently located in the center of Male’, just a 10 minute ferry ride from Velana International Airport. 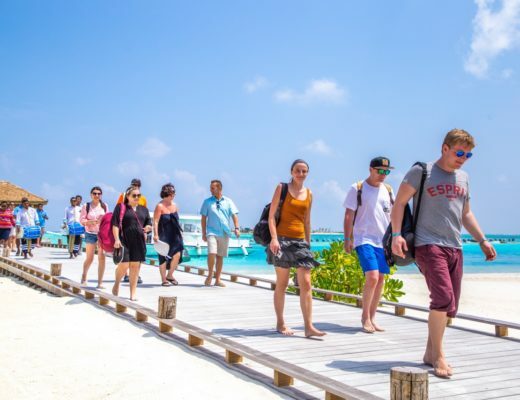 It is a popular choice for tourists who must overnight before taking a seaplane the next day to an island resort and with international businessmen looking for clean, comfortable accommodation and a choice of good restaurants. The hotel has 74 Deluxe and Standard Rooms in 3 different room categories, 2 restaurants, room service, a fitness center, complimentary transfers to/from the Airport ferry and free Wi-Fi. It is a well known venue for local business meetings, banquets, weddings and other social events. By Law, no hotel in Male’ is licensed to serve alcoholic beverage.